The village of Sayward is located 75 km (47 miles) north of Campbell River and 123 km (77 miles) south of Port McNeill. Sayward was established in the 1890's on the shores of Johnstone Strait near the mouth of the Salmon River. Sayward has served as a post office, a BC Ferries terminal at Kelsey Bay until 1978 and a trading centre for north-central Vancouver Island and other BC coastal communities. To get here travel on Hwy 1 and later on Hwy 19 from different locations on Vancouver Island. 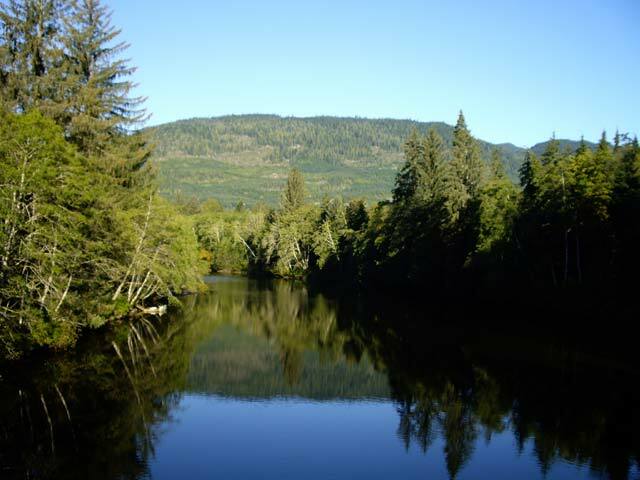 Sayward is located east off Hwy 19 by approximately 11 km (7 miles) through the beautiful Salmon River Valley on Sayward Road. 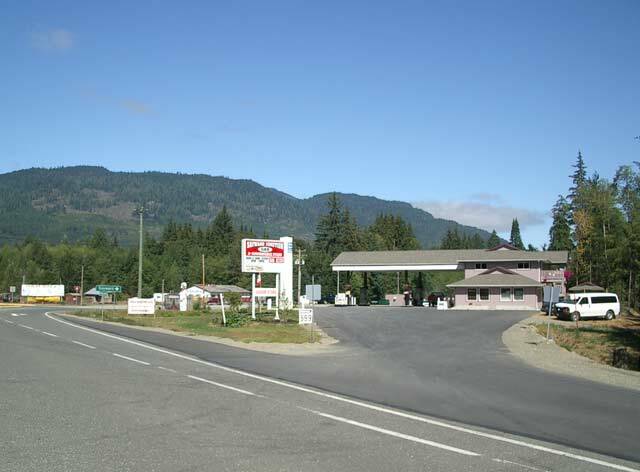 The junction point into Sayward is where you'll find the always friendly and helpful Sayward Junction Gas Station. Also located at the small settlement of Sayward Junction and next door to the service station is the Cypress Tree Inn Pub & Restaurant. The pub section serves generous portions of food and features old photographs of Sayward history The restaurant serves a reasonably priced breakfast special and offers a good dinner selection. The geographical terrain when you enter Sayward is one of a small valley along the Salmon River with some agricultural activity. Once you're on the Sayward Road past the junction point you'll cross over the Salmon River Bridge. The old Cable Cookhouse can be found just past the Salmon River Bridge as you enter Sayward Road from Sayward Junction Gas Station. 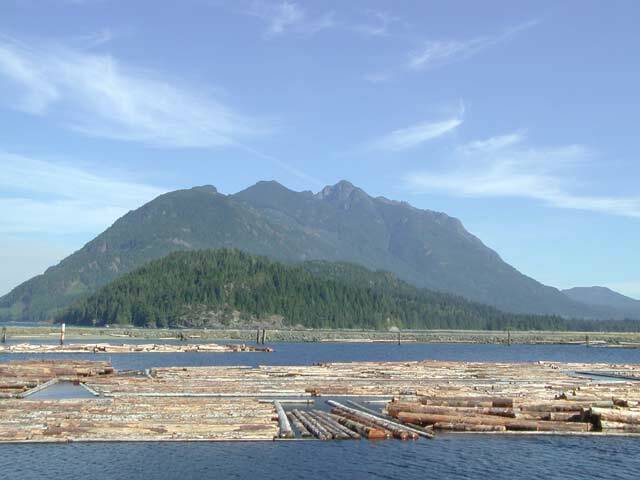 The primary industry in Sayward revolves around the forest with logging being the number one activity. 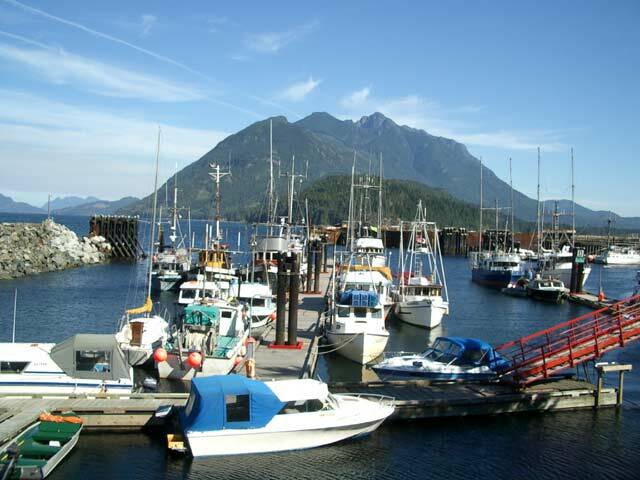 Other economic means of the approximately 1,500 population in the Sayward Valley includes retirees, artists, some agriculture, eco-tourism as well as whale watching at Robson Bight and some limited commercial fishing and dock facilities at nearby Kelsey Bay. Housed in a steel-framed building that has been made from coiling used steel skyline logging cables, this café is one of a kind. Surrounded by antique logging equipment, The Original Cable Cookhouse has offered home-style food in this very unique setting since the 1970's. 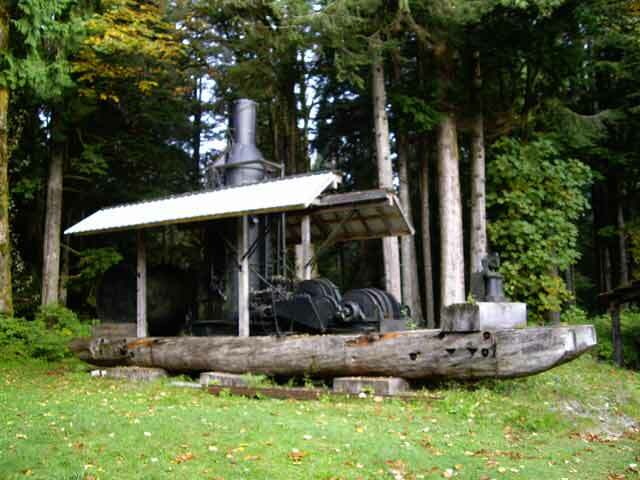 Make sure you make the time to view a small nature park located on the property that showcases a very old steam donkey. The Sayward Road follows the road across the Salmon River Estuary to the community of Sayward. Sayward sits on the edge of a slight hill facing east towards Johnstone Strait. The road into town goes past some a small mall with the regional library, houses and apartments to the main area of Sayward. Just past the shut down Sayward Foods is where the Sayward Village Centre Campground is situated. The campground is conveniently near the park, playground and estuary nature trail. The Sayward Village Centre Campground is reasonably priced has potable water, sani-dump, toilets and picnic area. Operated by the Village of Sayward please telephone (250) 282-5512 for more information. 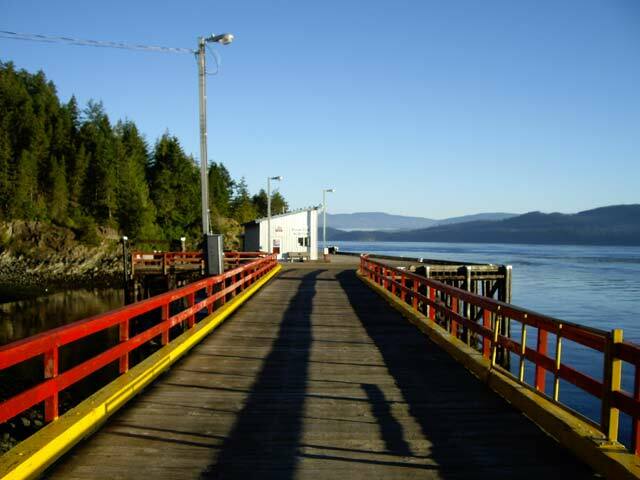 Continuing along the waterfront road you'll come to the wharf and dock facilities of Kelsey Bay. Once at the end of the road you'll find the marina and government docks along with a very beautiful view of the harbour towards Johnstone Strait. The mountain rising in behind the valley to the south-west is Hkusam Mountain. 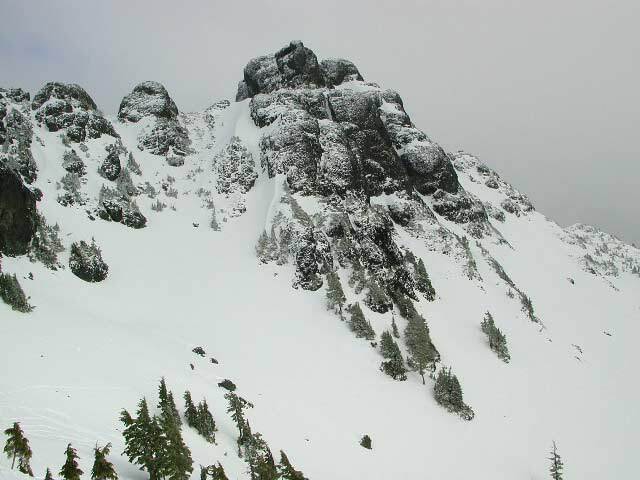 With an elevation of 1,645 m (5,397 feet) Hkusam Mountain is situated 10 km (6 miles) south-east of Kelsey Bay. Standing proudly in the background of the harbour, Hkusam Mountain offers a great hike up to the top. 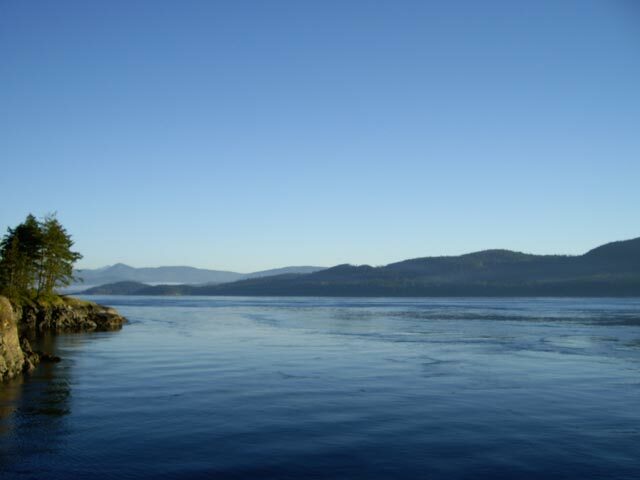 From here you can find excellent easterly views of Johnstone Strait, Hardwicke Island and the Coast Mountains of mainland British Columbia plus south-west views of the Salmon River and valley below. Other places and services that you might want to visit while entering Sayward include Camp "F" Shop, The Heritage Hall, Royal Canadian Legion Branch #147, plus a small medical clinic all located in Sayward. Heading north on Hwy 19 from Sayward and situated just south of Woss is where you can find access to Mt. 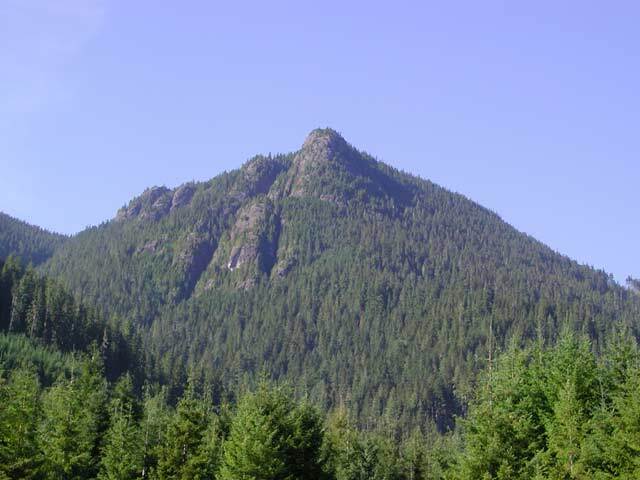 Cain, one of Vancouver Island's highest peaks at a 1,804 metres (5,920 feet) elevation. At Mt. Cain you can find the ultimate winter getaway for excellent skiing and snowboarding. Then, in the summer, there is great hiking and some mountain biking along some backcountry scenery. One annual event that will test your strength is the hike up Hkusam Mountain is called the Kusam Klimb Mountain Endurance Event. This takes place in June and the event involves a circle route up and around Hkusam Mountain about 23 km (14.5 miles). A couple of other Sayward events include the annual garden tour and the 'Art in the Park' celebration which happens on the first Sunday in July. Then on the first weekend in October is the Harvest Fall Fair. Other interesting walks around Sayward and Kelsey Bay include the Village View route found behind the Kelsey Recreation Centre, the Wildlife View Trail found near the Salmon River Inn and the Mary Kelly Trail that takes you through a loop near Kelsey Bay. For wildlife watching and taking camera shots, you might want to have a look at the Sayward Estuary located in Kelsey Bay. Located at the mouth of the Salmon River, the estuary contains various numbers of different species of birds plus other wildlife intermixed throughout meandering trails in a beautiful natural environment. You can find camping available at the Elk Creek rustic campground found north of Sayward Junction on Hwy 19 near the Salmon River. At K'husam Park there is a public campground with limited services available. White River Court Campground is located at Old Island Highway. There is also a small campground situated next to the Kelsey Bay Wharf. 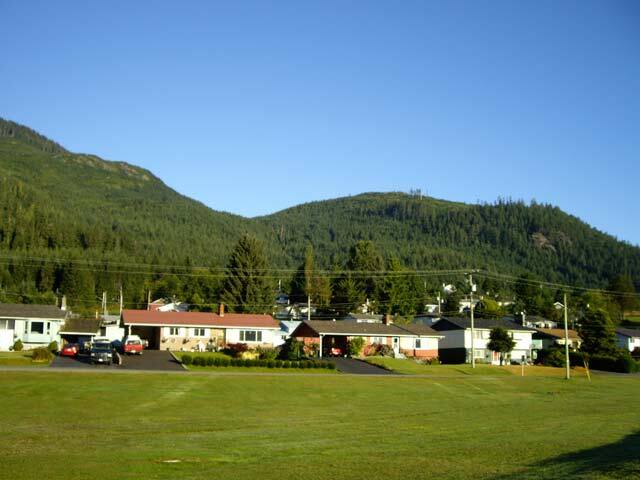 For a favourite, try the Sayward Valley Resort which features the Fisherboy Park RV Campground. The Fisherboy offers a clean facility with tenting sites, a motel plus has a small general store that features a liquor outlet. 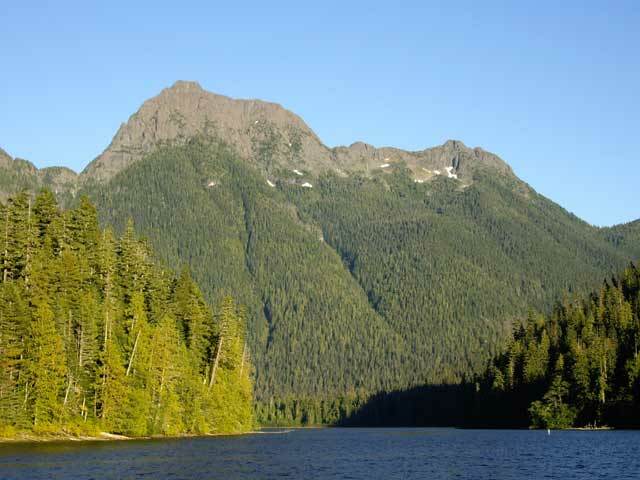 The closest provincial park to Sayward by vehicle is at Schoen Lake Provincial Park. 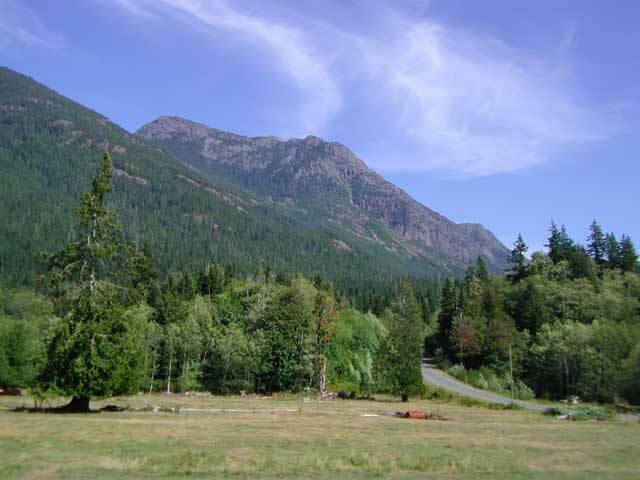 This park is considered by some to be the most beautiful on Vancouver Island with very a very picturesque view of Mount Schoen rising dramatically out of Schoen Lake. The turnoff to Schoen Lake is via the gravel Davie Road which is just south of Woss on Hwy 19. Unfortunately be warned the 13 km (8 miles) gravel road into Schoen Lake Provincial Park is quite rough and very narrow in places. For swimming holes there is a small one known as 'Gentries Pool' situated on the Salmon River. The pool features a white sandy beach with an area you can swim and snorkel amongst the migrating salmon. Remember the river can be cold and dangerous plus swimming is at your own risk. Look for a trail to 'Gentries Pool' near the end of Gentry Road. Gentry Road is found on the south side of the Sayward junction on Hwy 19. Also if you are enjoying the provincial parks and the countryside around British Columbia, please remember this is Bear Country. Try to avoid the rivers during heavy salmon spawning times unless you feel comfortable with bears around and take the usual precautions. There is also the possibilities of encounters with wolves or cougars so please play it safe. If you happen to be driving between Campbell River and Port McNeill about a 128 km (123 miles) drive, remember that services are limited. 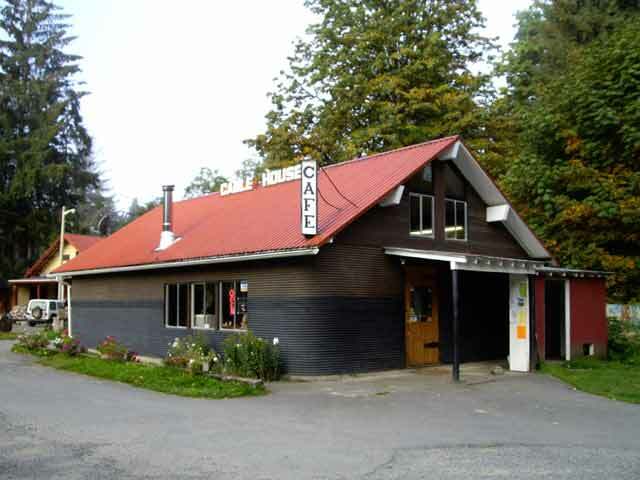 The Sayward Junction Gas is a service station along the route and the junction towards Kelsey Bay. One area that does have fuel and help is at the Sayward Junction along Hwy 19.